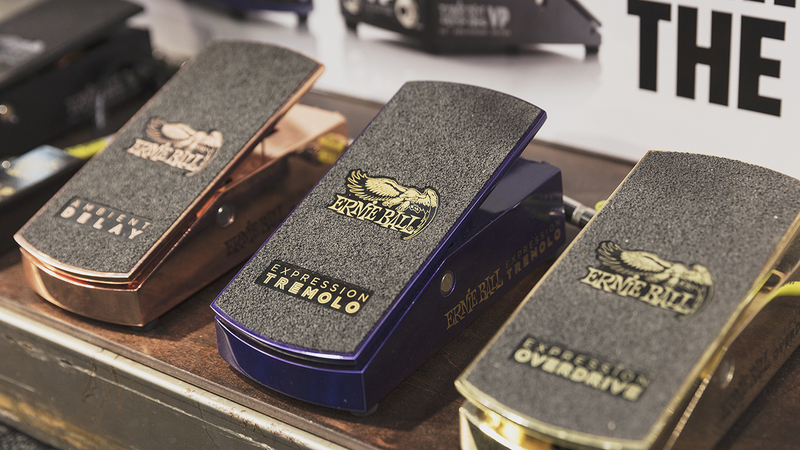 From Delay and Overdrive, to the all new Tremolo pedal, discover your sonic expression with the Expression Series Pedal collection from Ernie Ball. Wondering which expression pedal is right for you? Learn more about what each pedal has to offer so you can explore a versatile new sound palette and enhance your specific playing style. 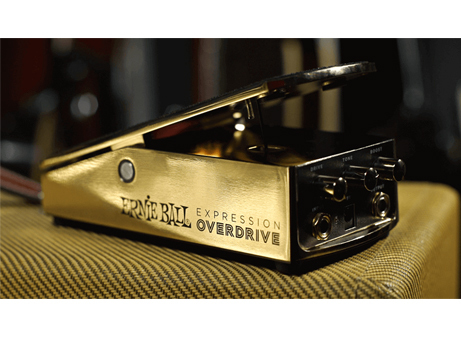 The Ernie Ball Expression Overdrive pedal delivers natural tube-like overdrive with a large range. 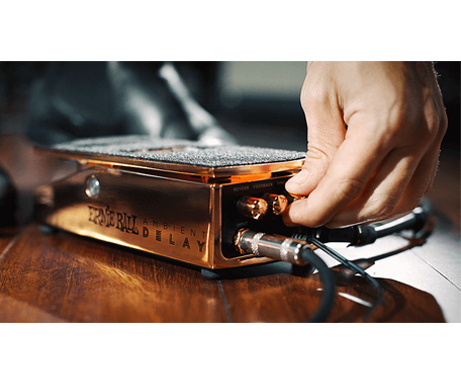 The term “overdrive” refers to when a tube amp is driven past its range to supply a clean tone. This is something guitar players have come to love using and often look for when creating music. This pedal features settings for drive, boost and tone, with a foot-sweepable overdrive control, making it effortless to go from clean to searing lead tones and everything in between, all without taking your hands off the guitar. Rock foot back and forth to adjust the desired amount of overdrive. The Drive knob adjusts the desired amount of reverb. The Tone knob adjusts the desired amount of high end roll off. The Boost knob adjusts the Toe Down position from unity gain to desired “solo” gain of over 6dB above unity. The Ernie Ball Ambient Delay provides a hybrid of digital delay layered with plate reverb, for everything from slap-back to extended repeats. 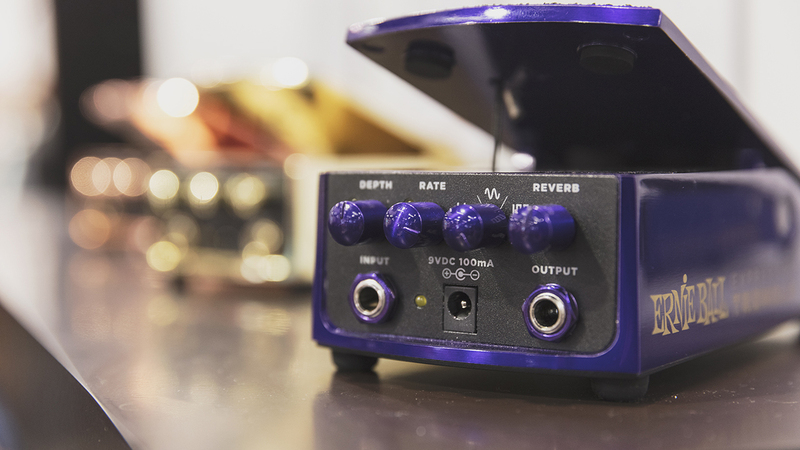 Delay pedals are among the most popular effects around and it’s because the delay pedal not only gives your sound a professional shine but it can also produce a wide variety of sounds and textures, ranging from rhythmic repeats to live looping. The Ernie Ball delay pedal features settings for delay time (50ms – 1s), delay feedback, reverb level, and a foot-sweepable effect level control to create anything from subtle textures to ambient soundscapes, all without taking your hands off the guitar. The Reverb knob adjusts the desired amount of plate reverb mixed into original signal and delay repeats. The Feedback knob adjusts the desired number of delay repeats. Hear from multi-instrumentalist Ilan Rubin (Nine Inch Nails, Angels & Airwaves, The New Regime) as we sits down to demo and discuss the Expression Series Overdrive and Ambient Delay pedals. 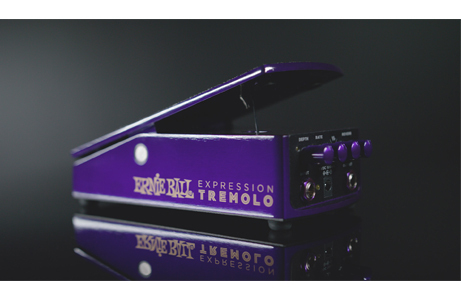 The modern and innovative Expression Tremolo pedal is the latest addition to the Ernie Ball Expression Series pedal line. Offering five different tremolo waveforms: Slow Rise, Slow Fall, Sine, Square, and Harmonic. Designed to maximize playability, while minimizing the footprint on your pedal board. Experience this versatile new tool and unleash your creative expression. Choose from five distinct tremolo waveforms to create subtle or dramatic pulsating soundscapes. Our new PVC coated braided Kevlar cord dramatically improves strength, increased traction, and ensures consistent tension. Ernie Ball artist, Ryan ‘Fluff’ Bruce reviews the Expression Series Tremolo pedal in his demo below.